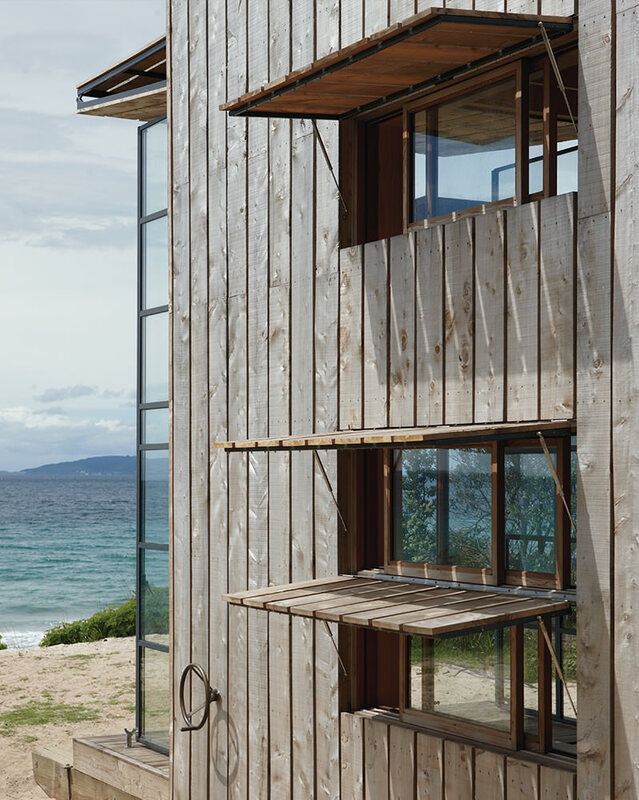 The Coromandel beach site lies within the coastal erosion zone where all building must be removable. 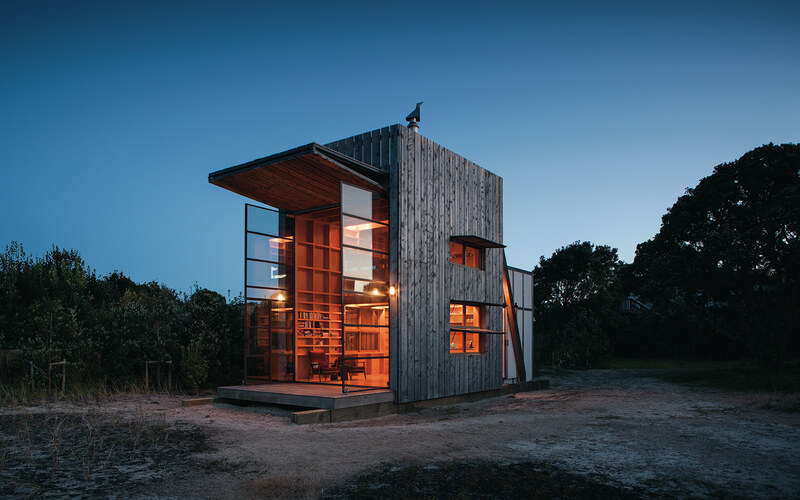 This requirement has here been interpreted literally: the hut is designed on two thick wooden sleds for movement back inland or across the beach and onto a barge. 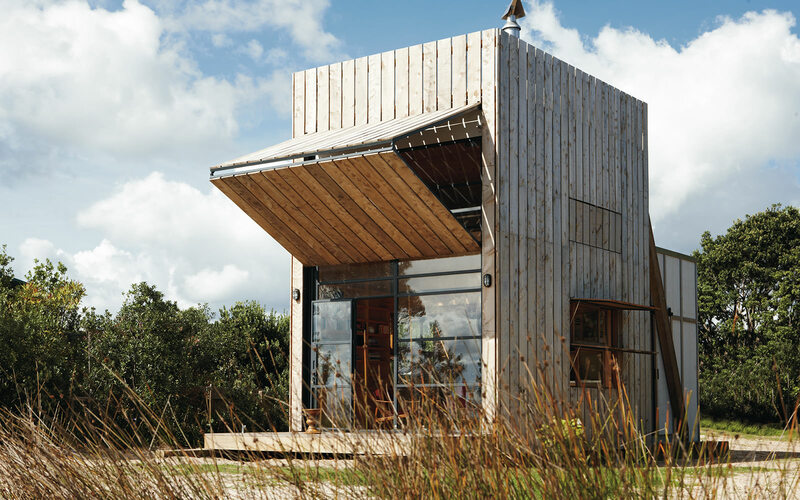 This holiday retreat, measuring a mere 40 square metres, is designed to close up against the elements when not in use. 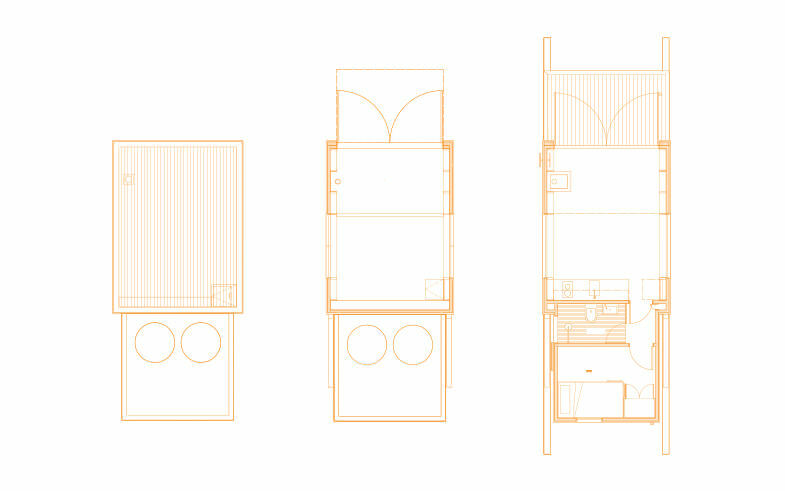 It accommodates a family of five in a kitchen/dining/living area, a bathroom and two sleeping zones: the children’s zone accommodates a three-tiered bunk. 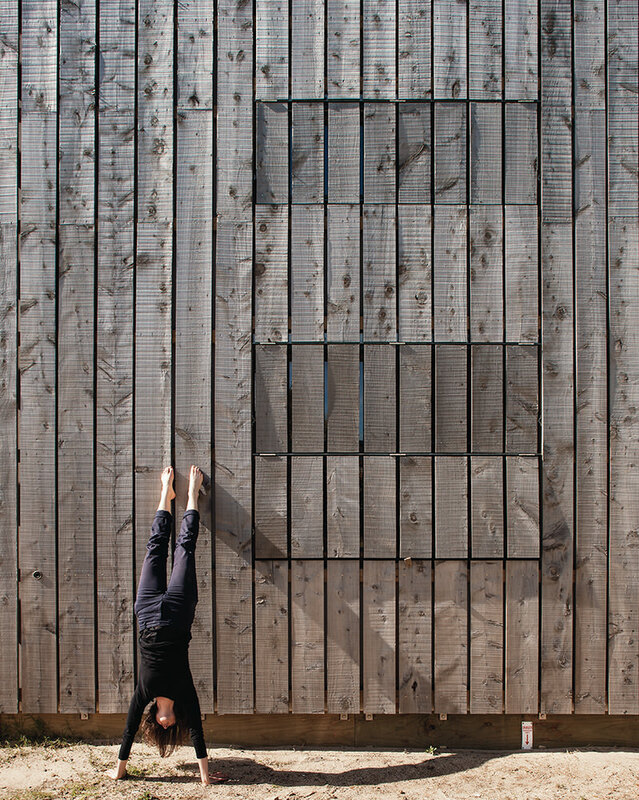 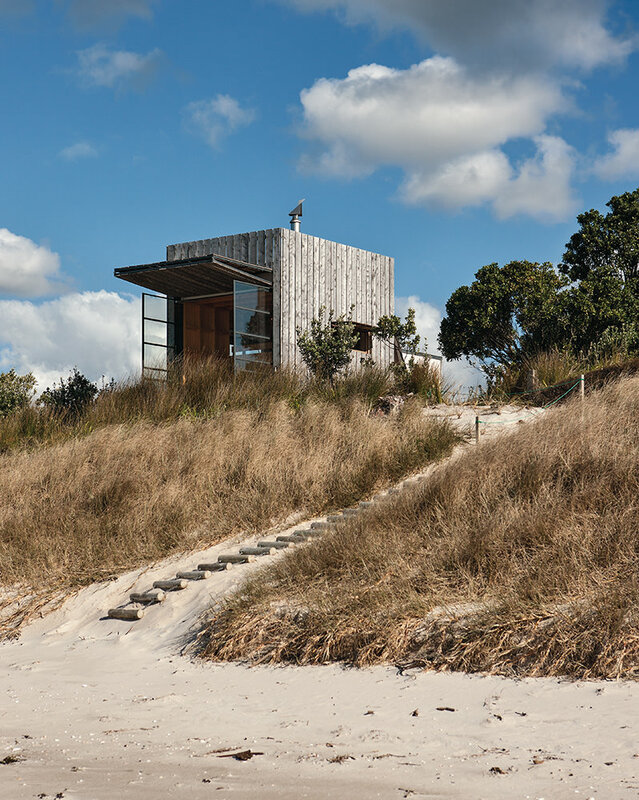 Closed up, the rough macrocarpa cladding blends into the landscape and the hut perches unobtrusively on the dunes. 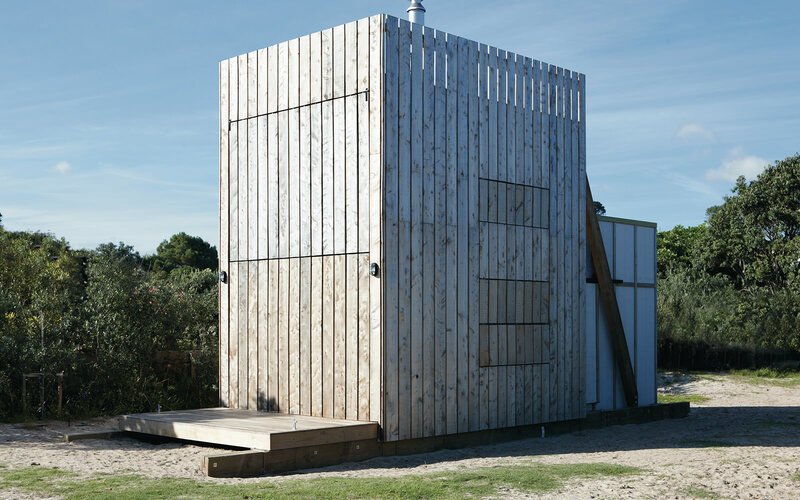 A small volume at the rear is clad in contrasting “flat sheet”, a cheap building material found in many traditional holiday homes. 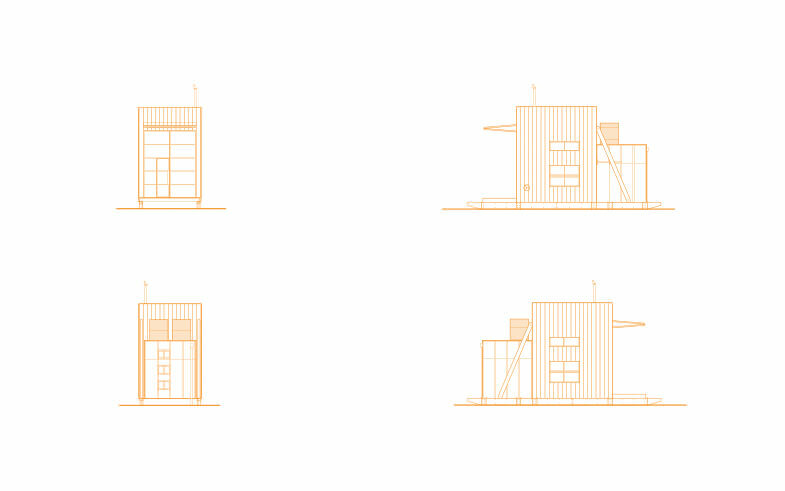 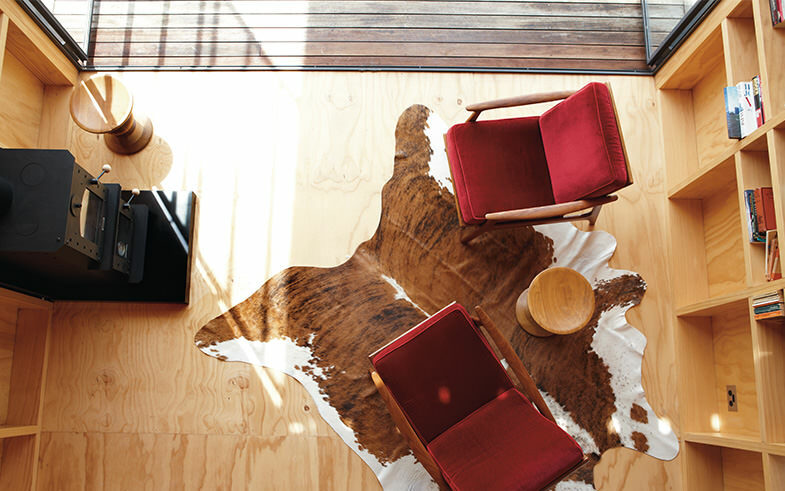 The clients sought to explore the real essence of holiday living: small, simple and functional. 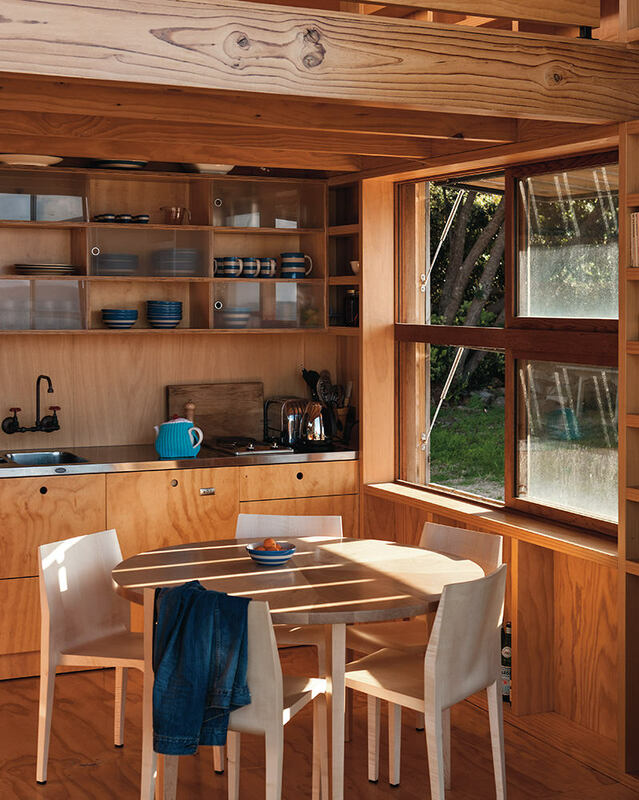 The normal rituals of daily life – cooking, dining, sleeping and showering – are all connected to the outside. 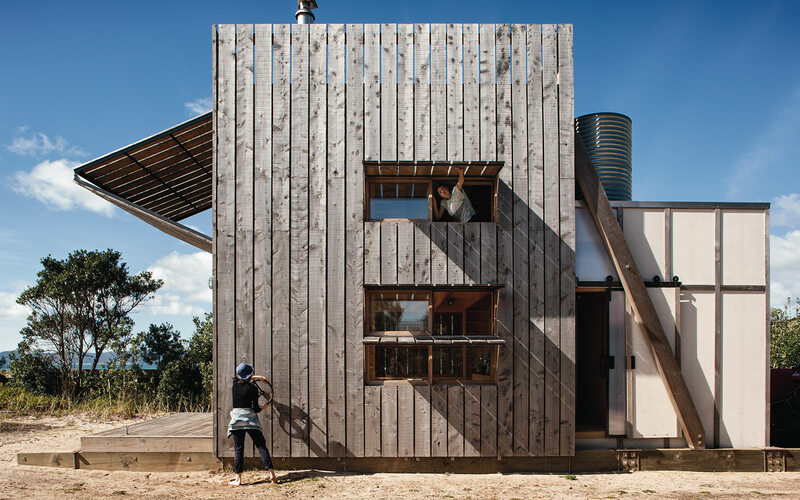 The two-storey shutter on the front façade winches open to form an awning, shading the interior from summer sun while allowing winter sun to enter. 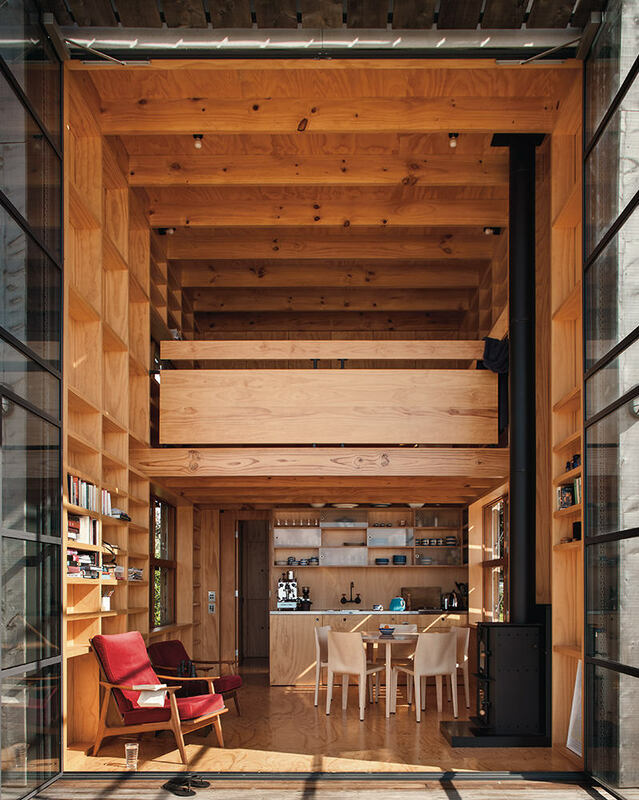 It reveals double-height steel-framed glass doors that open the interior much like a tent flap, connecting the living room and the mezzanine bedroom to the extraordinary view. 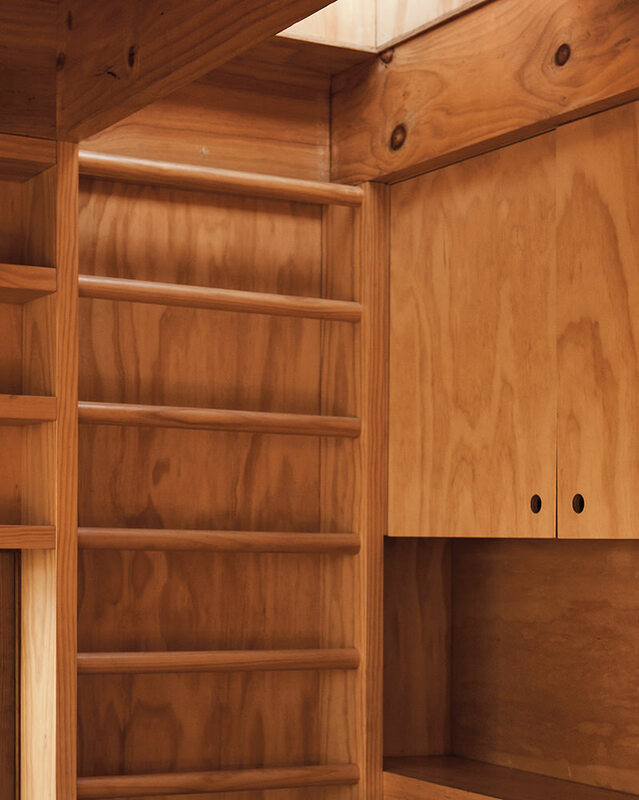 Within, every available space is used: there are even secret cubby-holes in the children’s bunks. 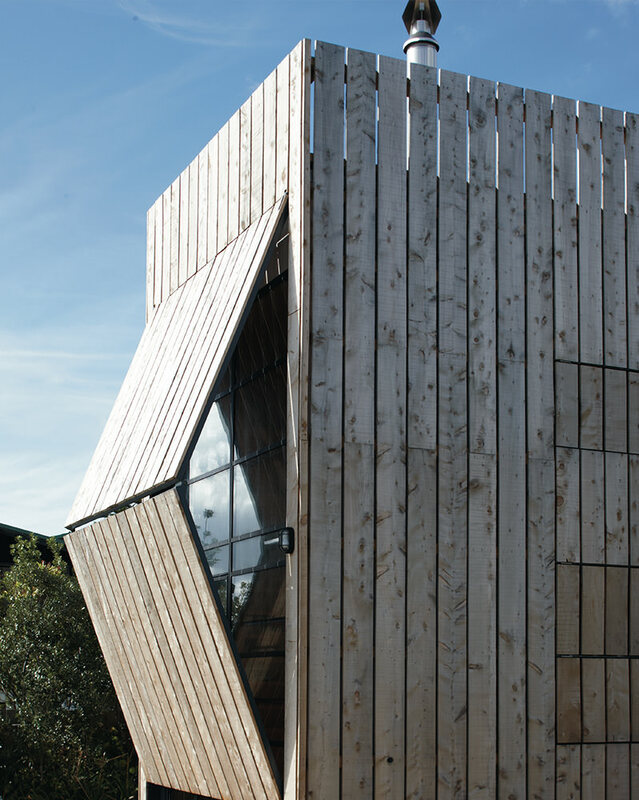 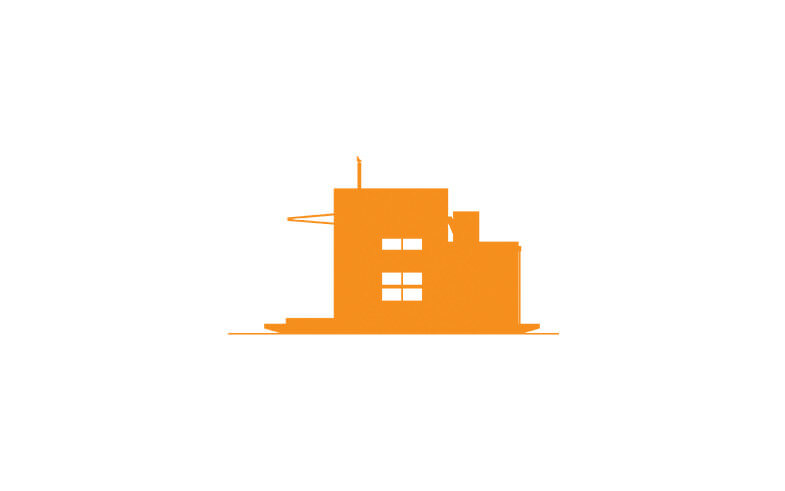 The clients’ desire for sustainability is evident in the modest building size, the use of timber in cladding, structure, lining and joinery, and the manually operated mechanisation. 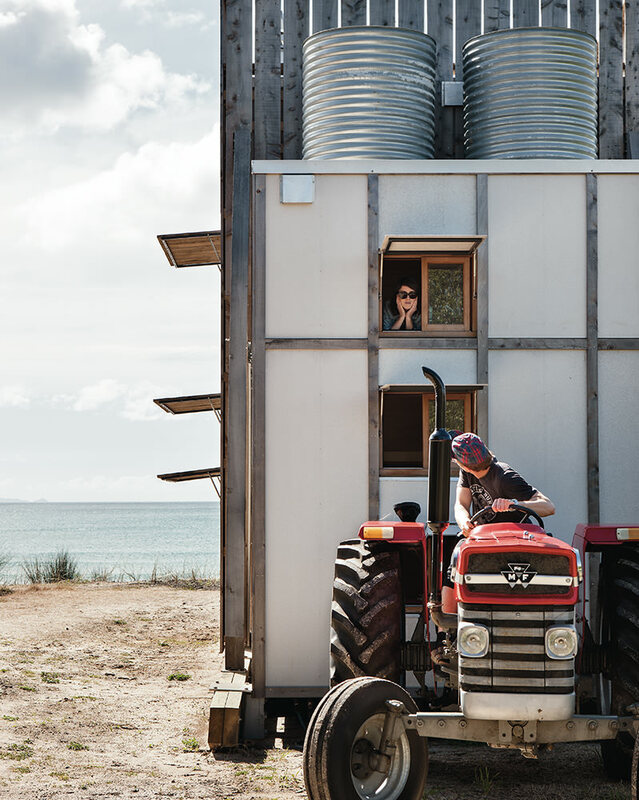 Apart from food delivery and non-recyclable waste removal, the hut functions as a self-sustaining organism with rain-catchment tanks, a worm-tank waste system and separate potable and grey-water tanks.